Residents on an affluent street have complained to council bosses because top-deck bus passengers can see in their houses. Homeowners in Worcester, West Midlands, claim their privacy and security has been put at risk since transport company First Group began operating a double-decker bus service. 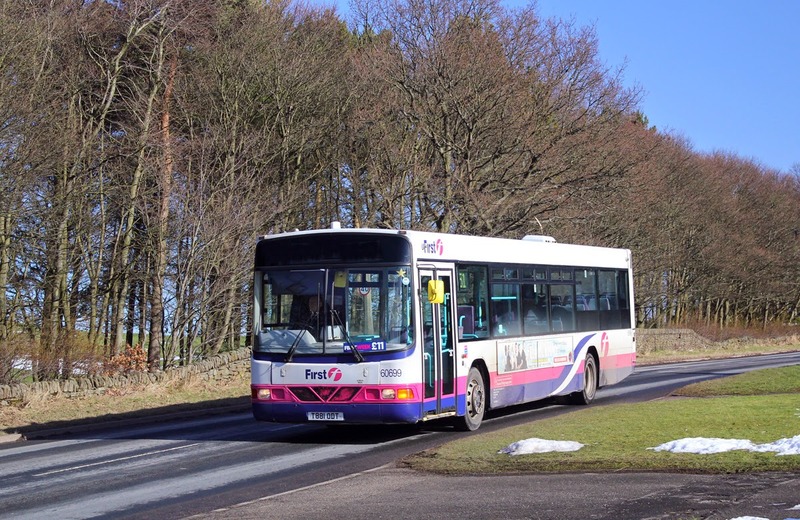 The number 32 route was introduced a few weeks ago to accommodate a large group of students at a nearby college during peak times. But residents on the street, where an average house costs £300,000, fear that potential burglars could use the top-deck to scout out vulnerable properties and have written to the parish council. Resident David North, 74, said: 'We are particularly vulnerable at our location as the bus stop is located directly behind our rear fence, we feel the bus is almost in our garden. 'We have lived here for 12 years and we understood that only single-decker buses were allowed on this route due to the fact that most of the houses have rear gardens that back onto [the main road] and therefore are overlooked from the top deck. 'My neighbours and I believe this is an intrusion into our privacy. Another resident, who did not want to be named, added: 'When the summer comes I don't want students rubber-necking at me as I get dressed in my bedroom or stare at me while I'm sunbathing in my garden. 'It's human instinct to look out of the window of bus but I hate the idea of being like an animal in the zoo for the entertainment of a bored passenger. St Peter's Parish Council has now taken up the resident's complaints and written to First Group outlining privacy, security and safety concerns. Councillor Brenda Wheeler, 65, who also lives on the road, said the decision to use double-decker buses would 'discourage people from making use of their own gardens'. The retired Church of England administrator added: 'I have lived on the road for 28 years and we have only had single-decker buses with no problems whatsoever. 'The last few weeks we've started seeing double-decker ones and they've become more and more frequent recently. 'It doesn't affect us because we put in some trees but there are five house that back on to the road that are badly affected. 'There are worries about burglary and it is a worry about security and safety for children and animals. 'They can look in and see nothing has been moved in there for the last two weeks so think they must be on holiday and jump over the fence. First Group defended their decision to switch to double-decker buses to 'develop better operational links'. A spokesperson said: 'We have received a complaint on behalf of some residents living in the area, stating that double-decker buses are intruding on their privacy. 'As a local business that carries thousands of people around the city daily we sometimes need to change our operation to meet the demands of our customers. 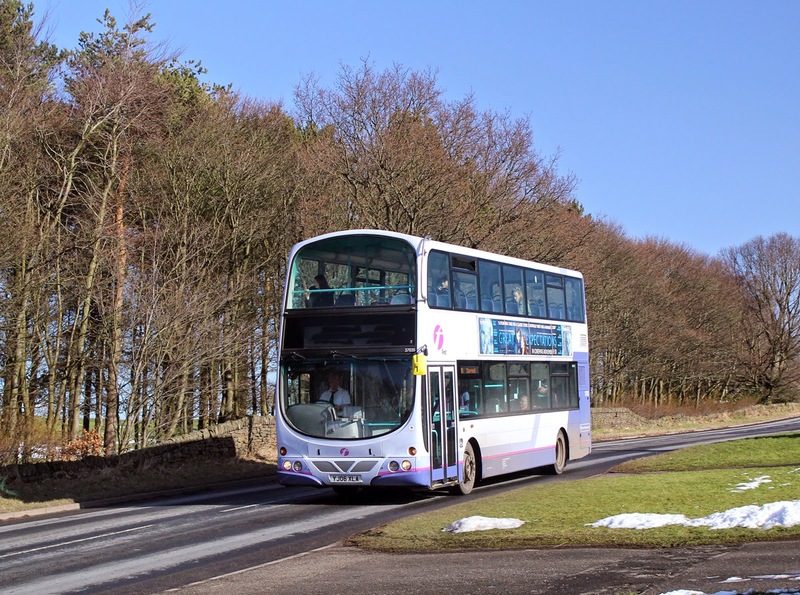 'This means that vehicle types may change to meet capacity demands and also to develop better operational links to wider areas within our bus network. 'St Peter's is an area that has had a long established bus route that over the years has seen different size buses operate along it. Last year residents in Stoke-on-Trent complained to the same bus company over issues of privacy and safety with double-decker buses. They were told that the service was in operation to accommodate capacity at certain times of day.